On a January afternoon, 10-year-old Joey Bates hurls a basketball toward a dome-shaped rubber pod during a physical therapy session in Scappoose. He's beaming, eager to test his strength, as two therapist aids coach him enthusiastically. Bates' session is one of many medical appointments the fifth-grader will have this year, but today, he doesn't have to face needles or tubes. The Otto Petersen Elementary School student was diagnosed with Duchenne Muscular Dystrophy in 2010 at the age of 4. He now attends regular physical therapy appointments and, last August, he began using an electric wheelchair to get around. Joey's condition is more severe than other types of muscular dystrophy, a degenerative disease that causes the body's muscles to atrophy. DMD is a genetic disorder marked by the absence of a protein called dystrophin, which allows the body's muscle cells to stay intact. His family flies him to Ohio twice a year so he can get specialized treatment from a world-renowned DMD physician at the Cincinnati Children's Hospital. Joey is also undergoing a drug trial through Oregon Health & Science University's Doernbecher Children's Hospital and goes to Shriners Hospital for Children for other services. There is no cure for muscular dystrophy. It's a reality Amber Bates is acutely aware of. "You treasure every moment you have because he's basically already lived half his life," Amber Bates, Joey's mother, says. "That's not anything that any kid should have to experience." Most children with DMD don't live past the age of 20. Amber Bates says her family recently had to sell its longtime family home to buy a one-level ranch house with wide enough hallways and rooms to accommodate Joey's chair. The family vehicle is now a van with sufficient capacity to fit the electric wheelchair. Amber Bates works part time with John L. Scott Real Estate and substitute teaches when needed, but she prioritizes her 10-year-old son's needs. Her husband, Steve Bates, works for UPS. The company's insurance plan allows them to get most of the care they need for Joey, but insurance doesn't cover things like wheelchair-accessible vehicle purchases, or new homes, or the estimated $3,000 the family spends on airfare, hotels and meals during each trip to Cincinnati when Joey and his parents fly in for extensive monitoring and testing at the children's hospital. 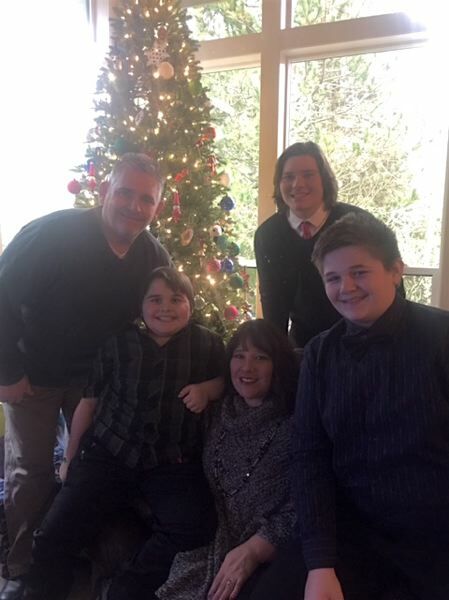 The Bates family got a nice bit of reprieve last month when ATI Physical Therapy in Scappoose, where Joey receives treatment, sent the family a $3,000 check from its ATI Foundation to help with a round of travel expenses. Travel costs aren't even the Bates family's biggest concern at the moment. Right now, they're closely monitoring changes in the prescription drug market and the realm of uncertainty that lies ahead. A steroid Joey takes to help his respiratory system was approved by the Federal Drug Administration just last week. The family previously had to order it from Europe and paid about $1,000 a year for the deflazacort medicine. Doctors recommended the brand over other options because it causes fewer side effects. The FDA approval gave the family hope at first, but they soon learned that the new market price of the drug, called EMFLAZA, was $89,000. "As of right now, I'm not sure what we're going to do," Amber Bates says. Her son needs to be on the steroid in order to participate in his drug trials, she explains. DMD associations and parents of children with the disease lambasted Marathon, the pharmaceutical company that obtained rights to distribute the drug. The spike in cost also caught the attention of U.S. Sen. Bernie Sanders, I-Vermont, and U.S. Rep. Elijah Cummings, D-Maryland, who serve on the House Committee on Oversight and Government Reform. The two issued a joint letter to Marathon on Monday, alleging the company is exploiting a loophole in the government's orphan drug program, which grants seven years of market exclusivity and priority for FDA review as incentives to companies that develop new drugs to treat rare diseases. Marathon responded to the backlash with an open letter via its website Monday, saying the company is pausing the marketing of EMFLAZA until it can gather more information. The company cited the cost to bring the drug to market in the United States as the reason for the price spike. "The resources we invested were substantial and we don't expect to recoup our investment for several years and we have only 7 years of market exclusivity," Marathon Chairman and CEO Jeff Aronin wrote. "If we are profitable, we are committed to re-investing our earnings from EMFLAZA into additional research into Duchenne." For the most part, Joey is a happy kid, his mother says. He enjoys Legos, planes and "anything that goes fast." But sometimes his disability is hard to ignore. 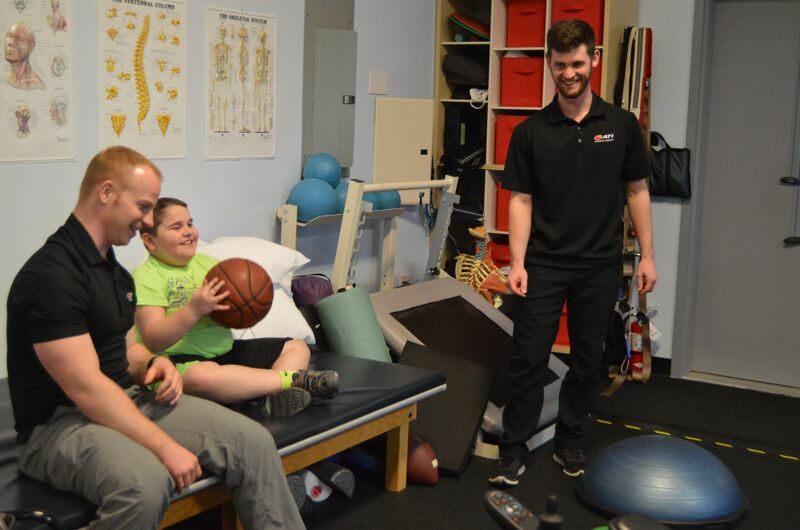 Amber Bates says Joey's two older brothers play sports, but it's hard for them to watch their younger brother sit on the sidelines with no mobility. They've both talked about quitting sports "because they feel guilty," Amber notes. "I don't think as a 10-year-old he grasps it," she said of her son's awareness of the implications of his condition. "I think he understands that, yes, he's different and he gets frustrated because he can't do what the other kids can do. He wants his body to do what everybody else is, but he can't. As a mother, it just breaks your heart because he cries and says, 'Why do I have to be this way?' and there's nothing I can do to fix it." For now, the Bates family tries to focus less on what it can't control and instead attempts to give Joey the best quality of life it can. "For a kid to go through what he has to go through, he has such a smile and a zest for life that lights up a room," Amber Bates says. "That's what keeps me going."